I want to write tonight about a very little discussed risk of PAMS. Bereavement. There are risks of bereavement for donors and recipients. I have made the decision to donate to terminally ill babies, and to babies who’s prognosis was uncertain due to cancer and congenital conditions. I have donated to babies with mothers undergoing chemo and radiation for cancer. I have held space and provided support for recently bereaved parents considering donation through PAMS networks and milk banks. I have born witness to the pain of parents who have lost their babies, but wanted to reach out and thank their donors. I also want to talk about the benefits of PAMS when it comes to bereavement. For many families, knowing that their wishes for donor milk for their child were honored by the gifts of donors eased the pain of passing. Many families express the comfort their children receive from human milk sustaining tiny besieged bodies. Donors, including myself, describe the humble gratitude of being able to provide some measure of comfort to families facing such difficulty. I cannot pretend to be any kind of expert on grief or processing loss. Everything that will be discussed was a process of discovery, with an overpowering sense of inadequacy. Consider the degree of separation. When donating privately to families, there is inevitable contact with the recipient infant. This may be an opportunity to watch your gift and intention for your infant sustain a child you will be able to watch grow, and build a relationship with. This may prove to be difficult situation, as it is natural to feel resentment that you do not have your own child to sustain. If being close to a child receiving your milk feels like a burden, donation through the milk bank will honor your dedication and sacrifice, and provide you the distance to grieve and frame the donation in a way that supports coping and healing. Consider the family. The recipient family may not be comfortable allowing you, as a donor, to have intimate knowledge of or access to the recipient infant. If this would create feelings of betrayal or burden for you, this may not be an acceptable choice. Also consider your own family. If there are relatives or children who are going to ask about the continued pumping, or the decision to donate, will this be a supportive interaction? 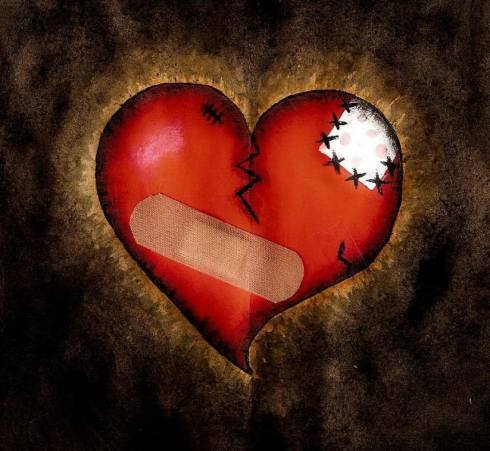 Will this lead to reliving the loss in a way that deepens your emotional burden, rather than uplifting you? Are you prepared to discuss your decision? Do you have someone to run interference for you with this line of questioning? Determine your limitations. Be sure to sit with a few possible outcomes. Donation to a milk bank can be stopped at any time, and requests for further contact to cease honored. This may not be the case with private arrangement. Are you open to the idea of discussing continued pumping with a recipient family? Do you intend to make a single, large, one time donation and make clear the absolute nature of this exchange? Feel confident that your decision to stop donation at any time is acceptable, and will be supported by the PAMS networks and/or the milk bank. Know your support options. It would be remiss not to encourage seeking support. Hospital staff should have a list of local resources on hand to support the grieving process. I did a little research in the donors area and provided a few options for support, in case the relationship with the medical team was not one of comfort seeking this information. This donor corresponded with me a few times, and ultimately decided that she would donate by private arrangement. I never heard how that went. Since that first encounter, I have supported 14 other families through the loss of infants and of parents. The process does not get easier. I still remember every name, and some days they flit through my mind unbidden, calling me back to their stories. It is not an easy thing. Some days, it doesn’t feel like a fulfilling thing, either. There was no one to give me perspective and things to consider as a donor when I chose to donate to children who may leave this world far too soon. I can remember with absolute clarity the call to let me know that my first recipient baby had passed. We cried together on the phone for quite some time. It was exceptionally difficult to accept the praise and thanks of the family for “all I had done”. All I did was give milk, hugs, words of admiration, and hope. A baby just died. How is it possible that these things, these things that felt so terribly inadequate to me, had made such an impact on them that in their grief they felt the need to reach out to me – and give thanks? The second recipient baby I lost contact with after he went into remission. His family was not able to find me, or perhaps had not been inclined to, until he lost his second battle with leukemia. He was 2 when I started to donate to him, and 3 when he went into remission. He passed at the tender age of 4 and a half. In his pain, he asked for the “sweet milk” as he called my donation. This time I didn’t know. His family didn’t know I had give birth again, and was lactating again. His family could not find a donor where they had been stationed this time. If I had known this sweet boy was in need I would have moved mountains to get him some “sweet milk”. Part of me died inside knowing this little boy died without even this small comfort. My third recipient baby that passed had a serious congenital heart condition, and it was a very long shot that surgery would save her. It did not. I still visit her headstone from time to time. There was no one to give me perspective when I chose to donate to a family facing the possible loss of their mother and wife. She had been dedicated to exclusive breastfeeding for 6 months, and found a lump in her breast at 4.5 months that she thought was a plugged duct. It was cancer. I donated to her son until he was 11 months old. His mother told me that knowing he was sustained on the love of humanity gave her the resolve to accept her treatment, and the very different relationship she had with her son now. She left behind a determined and challenging boy, and a husband who loves her truly and deeply, who chooses to celebrate her life and dedication to their family to instill the best of her in his young son. This is more than a milk exchange. You will give this liquid gold, and it will have deeply intimate meaning for the recipient family. Are you prepared in a time of grief to receive gratitude? You may face a situation where you feel obligated to provide milk, even at the expense of your best interest. Are you willing to accept the burden, or do you need to set boundaries with the family to preempt this situation? Do you feel that you can accept the long term impacts of loss? Honor yourself with honesty in answering these questions. Commitment to these arrangements will have deep, permanent, and unforeseen consequences, for better or worse. If a connection of this potential depth is not something that you can accept, you need to find another recipient family. It is OK to decide that this arrangement is not in your comfort zone. It is healthy to make the decision not to take on a potential burden that may alter the way you feel about lactating and breastfeeding. As deep as my grief for these families runs, I would not have made a different decision. I also have a much deeper appreciation and passion for informed consent and choice for donors and recipients to protect themselves as best they can. Coping with the knowledge of loss has not been graceful for me. It has brought me, literally, to my knees. I have sobbed uncontrollably over my thriving daughters. I have begged the universe for absolution of my guilt in not being able to do more. I have raged at myself for failing to accept my own limitations, and to have the grace to accept with humility the thanks of families. Perhaps this unusually personal and decidedly un-academic musing will inform the consent of future donors and recipients in a deeper way than PAMS currently provides. A deeply troubling practice was brought to my attention this afternoon. I received a message from an individual who has participated in Private Arrangement Milk Sharing (PAMS), who has also made the decision to purchase milk through private channels. This individual disclosed to me that advice had been given on a site for purchasing breast milk about how to determine the safety of purchased milk. There are a few issues here of great concern. 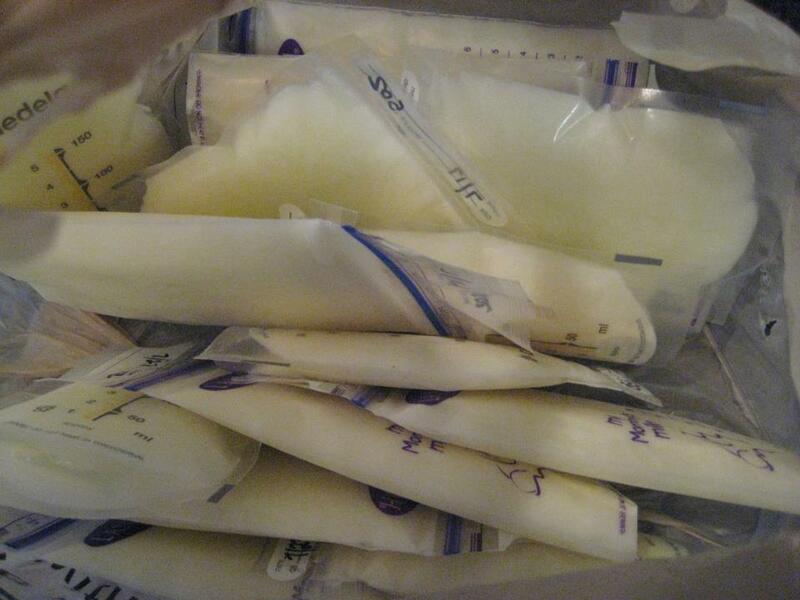 1) breast milk research labs are NOT screening facilities, and may or may not screen milk in a way that would ensure its safety for infant consumption, 2) collection of samples may occur months before any analysis begins, thus there is no timely way of receiving feedback, 3) adulteration of research regarding breast milk by falsely representing a sample as your own potentially defeats the purpose of the research. Firstly, research laboratories engaged in breast milk research are not (typically) milk banks, and the analysis of milk samples is not likely being done to ensure the chemical, bacterial, and viral safety of that milk for direct infant use. If, for instance, a lab is researching the levels of a prescription drug found in breast milk, they aren’t likely testing bacterial levels and types of bacteria in the milk. Secondly, many laboratories run projects concurrently. While one project is in the final stages, collection is likely going on for the next project, knowing it will take several months to gather the needed samples, to process them in batches which limits the number of chances for things to be different between samples tested. If a milk sample is forced into this pool of potential samples, there is no guarantee that it will be analyzed before the milk is used and there is no reasonable timeline for waiting that can be concocted. 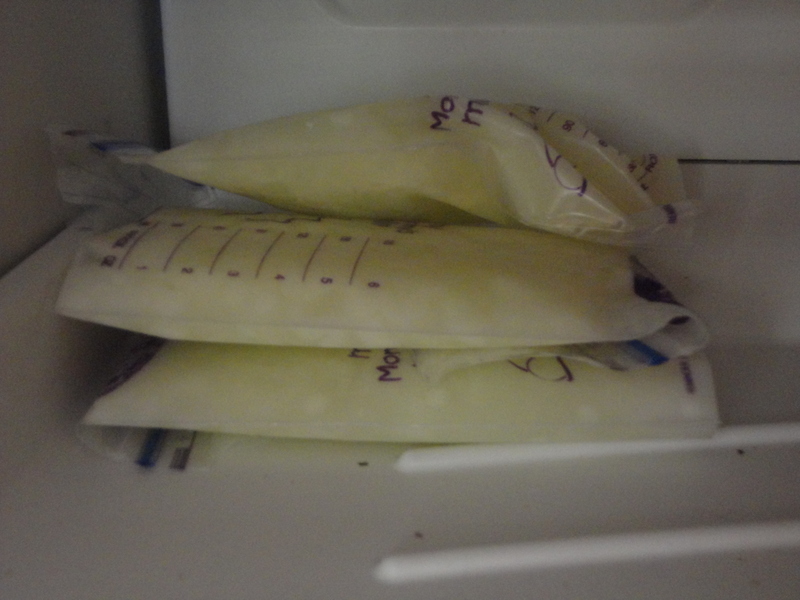 Lastly, research using breast milk is extremely important! By sending a milk sample that does not ACTUALLY meet inclusion criteria, that sample creates false results. In the instance of very costly work where few samples are analyzed, this can be a disaster for the research team, and the people who could have benefited from the accurate outcome of this research. For information regarding the legal aspects of PAMS or even selling of breast milk – please read here. It is not difficult to appreciate the complex nature of the decision to share or to purchase breast milk in the absence of sufficient milk from a parent. It is not an easy task to thoughtfully consider the resources available for how and where to screen sources and recipients of milk. I urge extreme caution and reflection of all participants regarding screening and safety considerations PRIOR to donating or acquiring milk through any private channel. Please respect the integrity of the work done at research institutions. Timing of the innovation or movement coincides with interest and means to move forward. The community innovates from within, spreading the change in thought, behavior, or policy in gradually increasing size of scope. A place must exist both within the philosophy of the community and in the physical sense for the innovation to to derive from. Sustained support of people involved in guiding the innovation must be realized. Last week’s post set-up the critical timing and scope of PAMS inception and continued viability, this week will focus on the significance of people and places. In this case, place is both the environment of most PAMS initial interactions, as well as the geographical location of participants. People are part of the place as admins, participants, and supporters. People will also be discussed in the context of the origination of PAMS, and the sustained efforts to maintain the innovation. The foundation of PAMS as a modern reprisal of an ancient practice was built on the Facebook platform for social media. Networks communicate almost exclusively among the global pages through groups on Facebook, pages for participants to connect are hosted on Facebook, and the spread of awareness of the practice and networks occurred through social media networking. Place within the parenting community has been assumed to be many things, but the reality based on my own preliminary research, that of Dr. Gribble in Australia, and Dr. Palmquist in Canada indicates that there is no singular social group participating in PAMS (Gribble, 2013; Palmquist, 2014). It seems, therefore, that the place of PAMS is one of broad social inclusion and growing acceptance. Place within healthcare and policy environments are far less clear and acceptable, as discussed in several previous posts. Place in the geographical sense is also important regarding PAMS. The social environment surrounding lactation and breastfeeding in general impacts the scope of the practice in local communities. In countries/regions where breastfeeding is highly valued and seeing a resurgence, the pages for milksharing tend to have greater involvement. In New Zealand, as an example, the culture of PAMS also closely aligns with the values of families who choose to use cloth diapers, exchange home made and homesteaded items, and thus include PAMS as part of a greater cultural movement. The support from the general community is such that other practices, such as Grabaride (a ride sharing network) have become involved to help facilitate family connections. Here in Arizona, there are several hospitals, many IBCLCs, pediatricians (MD and NMD), midwives, and other birth workers who have supported and empowered PAMS participants. Families from all parts of the Phoenix Metro area from many different backgrounds and many different needs participate. It is a really fascinating thing to see many who receive milk in one circumstance pay forward and donate milk when their own need is resolved, or with a subsequent pregnancy. Shell Walker was the founder of the very first PAMS page and community on Facebook. Upon filling the need of a single client, and seeing the number of needs and offers to exchange milk, Shell quietly created a local page which sparked what is now a global phenomenon. Most pages within the PAMS networks have multiple volunteer administrators and technical support persons. With the number of milksharing pages from all networks numbering nearly 200, it is a safe estimate that at least 500 volunteers are involved in keeping these networks running at any given time. Some chose to be involved as long as they are participating in PAMS as donors or recipients, some have become involved even with grown children, and some chose to become involved and stay involved long term. Aside from those maintaining the pages and websites for the networks, there are the participants themselves. If there was no demand for such a practice to exist, there would not be a thriving global community. If there was no need for human milk to be exchanged outside of the milk banking models of the world, there would not be for-profit companies and classified advertising seeking to benefit financially from a generally not-for-profit endeavor. Without the families who make the informed decision to engage in the practice of Private Arrangement Milk-Sharing, the questions of how have and how will PAMS networks support innovation would be moot. A less obvious component of both people and place regarding PAMS is time. Timing of the inception of the practice was critical in that an early decade would not have had the technological comfort and savvy necessary to support this practice. The time involved in building, maintaining, advocating, supporting, and researching how best to serve PAMS communities frequently tallies at 15 hours a week – per page administrator and support person. Remember, there are 500+ such people sustaining this community. Many families that choose to participate will spend several hours per exchange communicating via the networks, private messages, text messages, phone calls, emails, travel, and collecting health information. Considering the average participation duration of families being between 3-6 months, this potentially equates to dozens of hours sustaining participation per participant, per exchange (Bond, unpublished). PAMS is a unique, innovative intervention and work around developed from grass-roots organization to address a shortcoming of a systemic lack of support for providing human milk as the primary first food to infants around the globe. This practice is little understood by many who would seek to regulate it, even with insufficient evidence to effectively do so. Some organizations, such as the American Academy of Nursing, have reached out to begin supporting practitioners in discussing PAMS to facilitate informed consent. As a symptom of the growing dis-ease with present lactation supports particularly in the United States, PAMS provides a unique opportunity to examine parental decision making, information accessing behaviors, and experienced shortcomings of the current hegemony. Rather than dismissing this practice outright, or seeking to move against it out of ignorance, PAMS could be seen as an opportunity to generate greater social policy regarding the support, acceptance, and facilitation of lactation through conscientious, consumer driven policy. Kingdon. (2010). Agendas, Alternatives, and Public Policies, Update Edition (2nd ed.). London: Longman Publishing Group. Longest, B. B. (2010). Health policymaking in the united states. Fifth Edition. Chicago: Health Administration Press. Referring back to the definition of innovation in Week 11, the last two blogs of this semester will flesh out some aspects of time, place, and actors in the policy landscape of private arrangement milk-sharing. In shifting the focus to the phenomenon of PAMS as a grassroots innovation, the definition will refocus a bit as well. Per Smith and colleagues (2014), a grass roots innovation as opposed to an innovation specifically of health policy movements “seek innovation processes that are socially inclusive towards local communities in terms of the knowledge, processes and outcomes involved (pg. 2)”. Specific to social movements, Smith and colleagues further note that innovation from grass roots movements frequently result from dissenting voices with regard to some aspect of current hegemony, thus requiring practices and visions unique from those of main stream organized innovation. Grass roots innovation also has the distinction of engage local communities from the outset in instances where innovation began outside the immediate community, thus generating from inside specific communities and moving outward (Smith et al., 2014). This distinction from innovation as previously discussed sets the stage to discuss sustaining innovation in the specific context of PAMS. Firstly in discussing aspects of time and timing this week as they relate to scope of PAMS as a social movement of innovation in allocating human milk. Part II of this topic will focus on the people and places of the PAMS innovation movement and their critical role in sustaining the practice. Longest (2010) discusses factors pertinent to the environment from which innovation springs – 1) diverse health related problem, 2) development of possible solutions, and 3) dynamic political circumstances related to each and both. Further discussion of these factors also indicates that a characteristic of bureaucracy essential for successful innovation of policy is longevity. Sharing of milk between families in communities is not a novel practice. From the origins of human kind, infants were fostered at the breast or on the milk of donors in times of need. The agelessness of the practice has somewhat clouded the appreciation of the exceptional alignment of events and technology at the time of PAMS gaining a foothold. Lactation and breastfeeding were only just beginning to gain some of the momentum in 2010 that we now enjoy. The many health risks to formula feeding and “booby traps” obstructing the goals of breastfeeding dyads created an environment of varied health problems families were attempting to avoid or minimize through the provision of human milk. Social media was still booming, and the reputation of Facebook as a fairly grassroots idea had not yet tarnished. Families were beginning to find comfort and support in virtual communities to support like minded parenting and lifestyle decisions. The age of “going viral” was upon the interwebs. Information access was expanding horizons of what low infrastructure and budget organizations were capable of building. At this point, Eats On Feets was a single page in Central Arizona. Quickly it became several pages run by close knit volunteers. From there it was grown to dozens of pages all over the globe. Then the network had a philosophical rift, resulting in the original network and the newly spun off Human Milk 4 Human Babies. This in a span of months. Now there were well over 100 pages where families were connecting for PAMS, and two large networks of volunteer page administrators spending hours and hours of their own time supporting and building their local networks. Now, coming up on 4 years later, there are several more milk-sharing networks, all still founded on the original model of donated time, and dedication to local communities. To balance the interests of discussion while maintaining brevity, only Eats on Feets and Human Milk 4 Human Babies will be discussed in any specific detail. With respect to PAMS, I will use scope as “breadth, depth, and potential capacity”. This entire social movement began as the simple passing along of a request for milk of a single recipient needing a short term arrangement. In that capacity, the mother of the movement, Shell Walker, had no more scope of involvement than passing on a request. With the founding of the original page, that scope expanded to include a general philosophy about the sharing of human milk. When many pages began the early foundations of a network, a concerted effort was made to provide guidance for families that were not familiar with the practicalities of milk-sharing. Significant effort was made to ensure that information provided was evidence based and updated regularly. This is a very dedicated scope in the sense of breadth and depth. As a solution to the varied health concerns of the diverse participants, such a resource for PAMS is essential to the community. Human Milk 4 Human Babies is less inclined toward resource, but far more dedicated to areas believed to be essential to social normalization of the practice. These activities include a significant presence in the media, social blogging, and a larger network. From the standpoint of scope, this is a potential capacity focus more so than an introverted depth and breadth. Both networks serve the community in the same fundamental way, enabling exchange of milk, but do so with individualized focus. The practice as a whole is bounded in scope only by the energies of the volunteers within the network and the needs of families. Social media has enabled these networks to secure local volunteers to operate and maintain the pages, thus adding creative and energetic capacity rather than depleting a finite amount from a static number of volunteers and facilitators. The longevity and dedication of network founders has sustained the practice and enable local communities to reach out to a greater global community in times of challenge. It is difficult even with the best of information, intention, and available resources to generate health policy for a well defined population and practice in a way that does not need frequent correction to minimize the detrimental effects that may or may not have been foreseeable when policy was enacted (Longest, 2010). Considering the significant work still needed to describe participants and participation, policy generation at this time is premature. Considering the nature of human milk as discussed in previous posts and elaborated on through commentary by Elizabeth Brooks, it is not even clear that human milk allocation will benefit from direct policy oversight. The innovative spirit of this social movement seeking to fill a void left by insufficient support for lactation and ensuring human milk is available to all babies may not be able to continue to adapt as a global community supporting local specifics of practice with direct oversight. Where then would that leave families who have come to rely on one another to facilitate their infant feeding decisions? Longest, B. B. (2010). Health policymaking in the United States (5th Ed.). Chicago, IL: Health Administration Press. The United States has the unfortunate distinction of spending more than any other country in the world on health care, and receives significantly less benefit. The Institute of Medicine provides an excellent infographic presentation of the costs of healthcare through The Healthcare Imperative. Missed prevention opportunities account for $55 BILLION USD per year. Per. Year. Bartick and Reinhold (2010) examined the direct and indirect cost savings to the United States per year if 90% of infants were breastfed exclusively for the first 6 months of life. Their conservative direct and indirect health care cost savings estimates totaled $3.4 billion USD and 911 preventable deaths. Per year. As compelling as these findings are, Rippeyoung and Noonan (2012) analyzed just the income consequences for women in the United States who breastfed for short, long, or no duration. The results indicated that the least negative impact on income (all women who gave birth suffered negative consequences compared to women who did not) came to those who breastfed for up to 6 months (short duration). It is important to note that long duration breastfeeding, even after controlling for the ability to leave the work force due to a spouse or partner with sufficient income, those who breastfed for more than 6 months suffered a greater loss of income in the short and long term than those who breastfed for short duration. So, breastfeeding as defined in these significant studies saves the country and individual families money in the short and long term – with caveats. Why then is there no communication between these topics? Why not a concerted and sustained effort to increase lactation support for working parents? According to Pew Foundation estimates, a record 40% of families in the United States with children under 18 rely solely or primarily on the income of a Female parent. This translates to 40% of the primary or exclusive income providers in this country facing the knowledge that their income potential is impacted by lactation decisions – and never positively. Particularly for those in the low wage work place, the decision to persevere in lactation goals is complex. Parents know that there are serious and costly health consequences to formula in addition to the cost of the formula and feeding equipment. They also know that it is less likely to be accommodated by a low wage employer. For excellent discussion of the issues of lactation in the low wage work place,please explore the work of Janet Vaughan, WIC Breastfeeding Counselor for Monterey, CA. Many families with primary income from low wage jobs are also at risk of health disparity due to other demographic characteristics, such as ethnicity. For these families, provision of human milk is particularly important to stop the cycle of disparity. 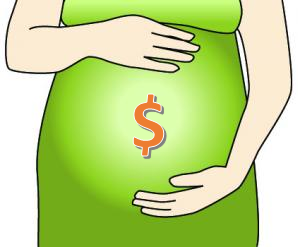 If we know that billions of dollars per year can be saved directly related to health care cost, and that a reduced negative impact on the wages of recently pregnant workers can be achieved through short term breastfeeding, what is the gap and how to we bridge it? The most obvious gap is the lack of lactation support in the work place. Having a functional and comprehensive policy regarding lactating employee rights in the United States would go a long way to resolve this gap. If more families can benefit from working and lactating and move away from the deficit of formula feeding financially, it is a win for the family. If more families are able to achieve these benefits, it is a win for health care direct costs and begins to chip away at the $55 billion dollar deficit in health realization due to prevention. These two goals are therefore not mutually exclusive, and are much more likely to be mutually beneficial. As these policies are coming into place, it is conceivable that providing breast milk through PAMS can help to alleviate some of the health cost. Many in the health community, even among those who are genuinely supportive and knowledgeable about lactation, believe that the perceived level of risk with PAMS obtained milk outweigh potential benefits. In light of no known reports of infectious disease, milk contamination, or other serious health outcomes negatively associated with PAMS, this staunch belief is dubious. In light of the potential contribution toward potentially millions to billions of dollars in savings, from a practice that is founded on donation, it seems as though more consideration and support for moderating risk would be in order. Special thanks this week again to Elizabeth Brooks, JD, IBCLC, FILCA for her assistance. The Agency for Health Research and Quality has inter-related definitions of health care and health care policy innovation. Combining the two, I will be discussing innovation as a new implementation of policy, approach to clinical care, process, product, or system created with the intention to improve care and/or reduce disparities in health. Specifically, what is individual agency with respect to health care and health policy? Many definitions exist to describe an agency. In the social structural sense – an organization through which authority may be expressed by the power to effect change in the community, frequently operationalized through health care policy generation and realization. But what of the agency of the consumer of health care and health care policy? 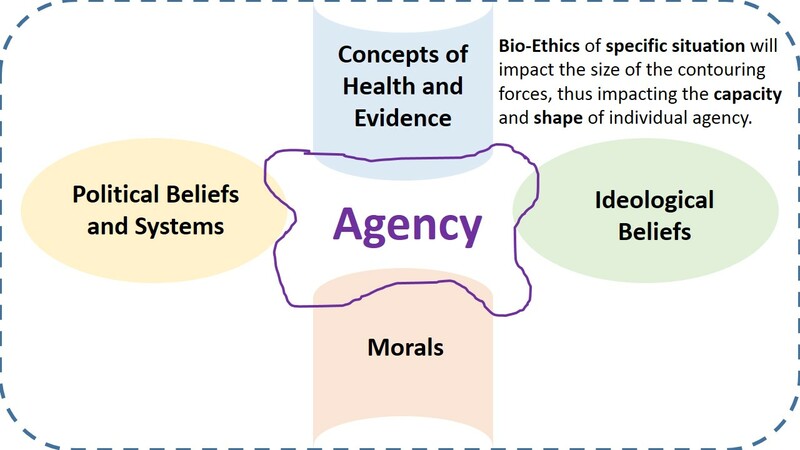 Armstrong (2014) provides a recent history of the concept of agency, although this concept is so malleable and dependent upon the specific circumstances of the bio-ethics context that a singular definition is difficult to come by. Within this blog, I will loosely define agency as the conscious state of self-awareness and reflexivity in which recognition of health risks and need for responsibility coexist with the mental capacity to comprehend the medical risks in question and to act coherently on ones’ own behalf. This definition is flexible to the individual and circumstance such that the capacity for agency is contoured by concepts of health and evidence, individual morals, political beliefs and systems, and ideological beliefs. Individual Agency in the context of Health Care and Health Care Policy. Adapted from Armstrong (2014). How does Innovation Relate to PAMS? With respect to policy, PAMS represents an innovation in many respects. Assuming that policy is necessary and effective regarding PAMS, Brooks explains ” there are a considerable number of hurdles in regulating a substance that can be collected, handled, and regulated as a “food” (which is used everyday by healthy babies and children) but which also has profound healthcare implications when used as a “fortifier” or “medicine” or “anti-infective agent” (when used for very ill premature babies in a hospital setting.” Each of these areas represents potential for innovation in health care policy pertaining to human milk. Such an undertaking should move forward from a sound review of evidence of individual and public health. Evidence regarding the efficacy and indication of risk for the use of human milk in the various forms present in PAMS is highly limited and existing evidence from clinical use cannot be directly applied. This complex nature is likely to make policy efforts a struggle between balancing the social construct of power through agencies and individual agency in health care with limited ability to rely on evidence to guide the process. Per Jewel and Bero (2008), health policy making informed by evidence, even when good quality and quantity of reliable evidence is available, suffers frequently from deficits. Limited technical resources for state legislators, highly limited experience in evaluating research coupled with lack of interest in attempting to understand evidence quality, and self described reliance on “gut feelings” and “common sense” prime among them. With limited in-house technical support and the reliance on emotive factors for crafting policy, a topic so easily construed to be one of lifestyle choice, cavalier minority behavior, social fad, or sensationalized as a radical action and potentially advised upon by pre-existing lobbyists with a vested interest against PAMS, it is not likely that conscientious examination of the issue will take place. How does Agency Relate to PAMS and Policy? The individual-centered practice of PAMS is founded on the principle of agency, central to the concept of informed consent upon which all of the major milksharing networks are based. It is the belief of the milksharing networks that individuals with the capacity and wherewithal to seek out and engage in PAMS have an inherently healthy and robust sense of agency. This agency has not yet been determined in regard to policy making. The nature of relationships involving PAMS (as described by many participants, including myself, are deeply personal. Significant involvement in the making of policy that is not likely to value input of those involved in the practice when compared to the existing influence of lobbying groups associated with various competing interests is not surprising. It is, however, distressing. Because PAMS is practiced by a relatively small community, it is distressing that rallying enough support to gain the attention of policy makers is unlikely. The inter-relationship of agency and innovation as they intersect with policy is rather profound. Attempts currently underway and past regarding PAMS policy completely disregard the agency of participants. Justification in these instances is explained to be one of public health and the inability of an infant or young child to consent to receiving PAMS milk outweighing the agency of the caregiver. If this is so, is it not a slippery slope to governmental usurping of many more equally intimate and individual decisions regarding the care and rearing of an infant? The active and intentional exclusion of the human beings involved in the practice or health care decision being regulated is not a policy innovation anyone wants to see come into existence. Brooks, E. C. Personal correspondence. March 3, 2014. In the last 80+ years, the role of families surrounding infant feeding have been systematically changed as a result of urbanized populations, specialized medical practice, and commercialization (profitized) infant feeding. In the last 5 years, there has been unprecedented support for breastfeeding from all levels of government, professional organizations, consumer rights groups, and from parents themselves. This change is auspicious as background making PAMS growth and establishment possible, driven almost exclusively by participants as consumers and change agents. This change in the way that breastfeeding and the provision of human milk are seen throughout the socio-political spectrum provides some interesting observations and poses some unique challenges. I have the pleasure again this week of including observations and considerations from Elizabeth Brooks JD, IBCLC, FILCA. Driving Forces – Consumers of healthcare policy and professional guidance, i.e. infant families choosing to participate in milk sharing by private arrangement. Milksharing networks and advocates are also driving forces, however, within the context of policy entrepreneurship the personal interest of networks must be taken into consideration in addition to the value of contributions to change supporting consumer demands (Kingdon, 2010). Opposing Forces – Profit seeking entities (milk cooperatives and for-profit milk banks), the the Human Milk Banking Association of North America, United States Food and Drug Administration, and individual healthcare providers are just a few of the major opposing forces of PAMS. Self interests must again be considered. Lack of knowledge and consideration of the practice not only on merit of the practice of PAMS, but as a result of marginalization of the personally identified importance of agency and autonomy in infant feeding decisions contribute to these opposing forces (Kingdon, 2010; Akre et al., 2013). Difficulty arises when this foundation of consumer driven healthcare and individualized evidence informed practice fail to be realized in reality. Participants have found themselves in precarious positions where they are expected to be consultants and educators to their healthcare providers regarding their decision to participate in PAMS. Media and even recent academic coverage of alternative sources of human milk have only raised the difficulty in navigating the movement and continuing to drive forces of change toward acceptance of PAMS as part of the infant feeding spectrum of choices. According to Brooks, “[T]he consumer is often the least empowered to see this happen. Any issue that the mainstream media or healthcare establishment perceives as “risky” will add extra layers of difficulty in getting to a well informed discussion and decision.” This, I believe, is the proverbial cue for research and academia to contribute in the way of evidence to bolster and clearly define merits and challenges of future policy development and change (Kindon, 2010). 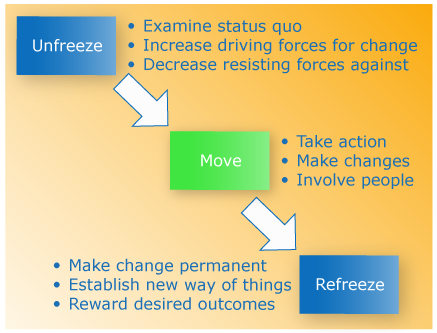 Per Kingdon, the primary criteria for survival of a new policy (Refreeze) is a test of public acceptance (2010). Considering the relatively minor number of families currently participating in PAMS, this test is likely going to be a long one. Government at all levels and agencies of the private and public sector are priding themselves on innovative solutions and meeting the needs of consumers, as the consumer defines those needs when and where evidence supports change (Liebman, 2013). Commitments have been made in adapting funding for research into initiatives, programs, innovations, and solutions originating in a variety of sources, and with scalable implications (Liebman, 2013). PAMS has demonstrated a moderate degree of scalability since its inception, and certainly fills a need expressed by consumers for a source of human milk that is immediately and realistically obtained. Support for the provision of human milk exists in policy, practice, and evidence in formalized contexts. The critical gap with PAMS in relation to Liebman’s position and exemplars regarding recognition and funding for viability is the current insufficient evidence regarding specific characteristics of the practice to evaluate efficacy in bridging a gap created by other complex inequities in access to support for lactation and provision of human milk. Progress is being made in defining the practice, resources, and realities of PAMS by myself and others in academia in many contexts related to PAMS. As these pieces come together, it is my sincere belief that a case will be made for PAMS as a viable option for families seeking to provide human milk in the absence of sufficient milk from a biological parent. Participants as consumers of healthcare and agents of change in PAMS health policy are likely to blaze their own trails in creating solutions to their individual infant feeding needs and beliefs. I applaud the commitment and dedication that it takes for donors and recipients alike to contribute so meaningfully to a practice that creates such an opportunity for dialogue regarding the role of policy and agency in healthcare. Brooks, E. (2014). Personal Correspondence.